Fruit curds are so versatile yet how many people venture beyond the classic lemon? I think it’s the name … curd. It just doesn’t sound like something delicious. 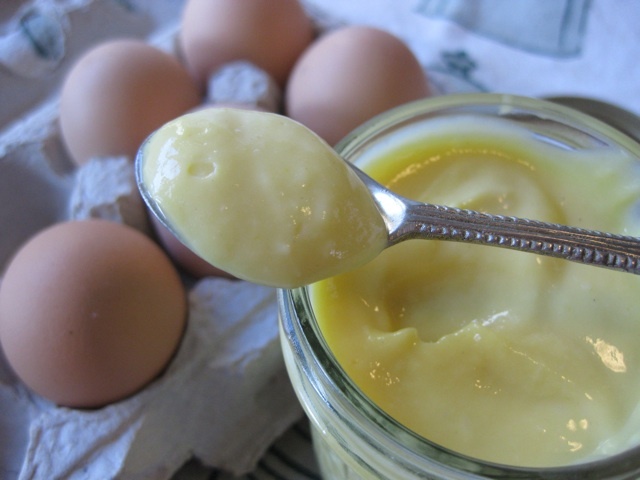 Don’t get me wrong, a properly made lemon curd is a thing of beauty, makes a lovely tart and is great on a scone. But did you know there’s a whole world of curds out there beyond just lemon? Indeed there are – lime, blood orange, grapefruit, cranberry and my current favorite, passionfruit, are just a few examples. With Valentine’s on the horizon, it’s the perfect time to bring passionfruit to the forefront as it’s rather apropos for the season. 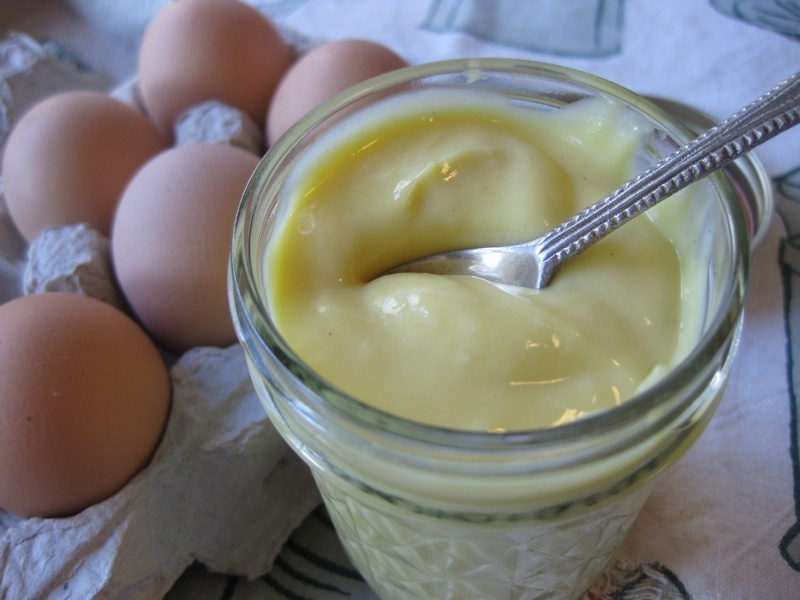 Fruit curds are a rather simple thing … really just a fruit sauce thickened with eggs and enriched with butter. Anyone can make them. The key thing is getting the balance of sweet to tart correct, which may take some experimentation. Lemon is on one end of the spectrum, grapefruits tend to be sweeter so it’s good to mix in a little lemon juice to increase the tartness. There should be a little zip in these curds. A word on passionfruit puree. Sure you could use fresh passionfruits, in fact they’d be wonderful. However, outside of an exotic tropical location or a very expensive produce section, odds are slim you’ll find them. If that doesn’t sound like an excuse for a vacation, well then I don’t know what does. If jetting off to exotic locales isn’t an option, turn to puree. It’s an easy option and with a little searching, readily available. Commercial kitchens use very high quality purees easily obtained with a phone call to one of their distributors. Home cooks aren’t so fortunate to have access to these treasure troves of interesting things so the best bet is to hit the frozen section of a Hispanic grocery store. 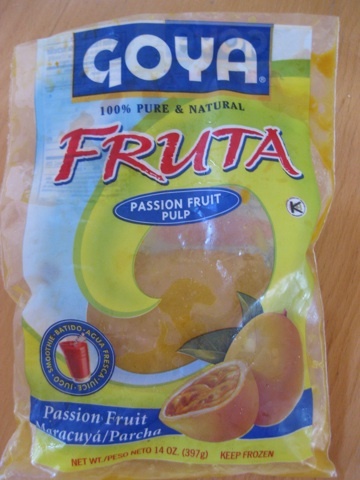 In Chicago, I’m seeing the Goya fruit purees more frequently, mostly in the Hispanic stores but sometimes in regular grocery stores as well. When purchasing, look at the ingredients. Hopefully it’s 100% passion fruit juice or puree – no added sugar or fillers like apple or grape juice. The additional sweetness throws off the distinctive tang of the fruit. Looza is a brand that I sometimes see as a juice, however, there is sugar added so go easy or don’t add the additional sugar at all. Many curd recipes have you heat the mixture over a double boiler. I don’t do that anymore. Yes, it’s a nice gentle heat but it takes a lifetime to come up to temperature and I feel that all that whisking over time incorporates too much air into the mixture. Rather, I put all the ingredients in a heavy bottomed saucepan and stir it constantly over low heat. It’s much faster but you have to watch it carefully because those eggs cook quickly. The last thing you want is passion fruit flavored scrambled eggs. Trust me. 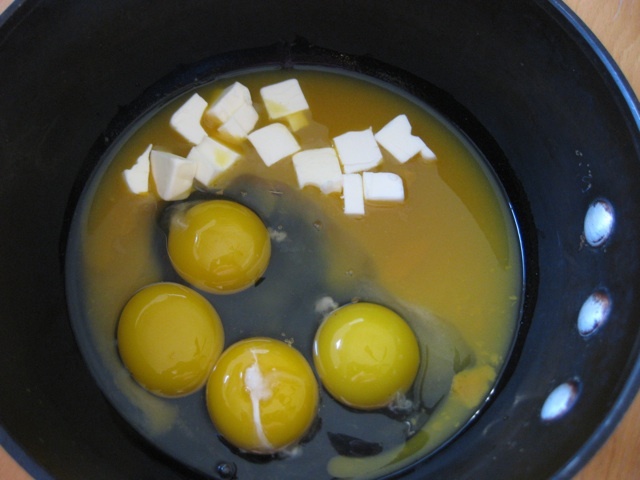 To ensure a nice smooth texture, strain the mixture to remove any little bits of cooked egg. It happens. The mixture goes into a bowl to cool then into the fridge to chill. It will be set but loose – you don’t want a stiff gummy bear type of mixture – rather something creamy and spreadable. There will be quite a bit of puree left, which is never a problem. Pop it back into the freezer for another time, or use it to snazz up a pitcher of lemonade, make a fantastic margarita or add a nice zip to your morning smoothie. As for the curd, hold onto it; later in the week I’ll show you something fun to do with it. Something special for Valentine’s Day before I go on a chocolate bender for several weeks. STRESS BAKING THERAPY FACTOR: LUSCIOUS. This is one of those techniques you keep tucked in your back pocket. Once you learn how to do it correctly, it becomes an almost automatic task and a handy one at that. Having a fridge full of various flavored curds is a nice thing to have on hand – make tarts, serve with scones, sandwich between butter cookies. Spread between cake layers, drizzle on top of a cheesecake, serve on top of ice cream. The possibilities are endless. Put all the ingredients into a heavy bottomed saucepan and whisk to combine. Place a fine mesh strainer over a bowl and set aside until needed. Over low to medium-low heat, whisk until thickened. This will happen fairly quickly and faster on the outside of the pot so continue to whisk and monitor the heat to prevent overcooking the eggs. If the mixture seems to be heating too quickly/unevenly, remove the pot from the heat and whisk off to the side for a little before returning to the heat. 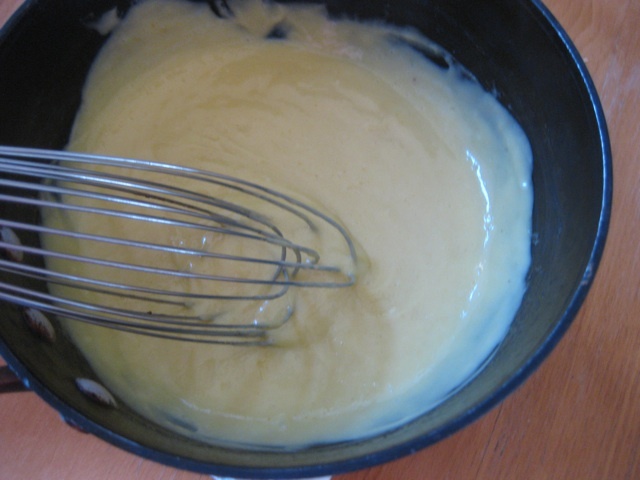 You’ll know it’s ready when it looks thickened and the whisk leaves a trail in the mixture. Working quickly, transfer the mixture from the pot to the prepared strainer and press through with a spatula to remove any stray bits of cooked egg. Stir the custard a few times to release heat over a few minutes then cover the surface with plastic wrap. Chill for at least one hour, or overnight, until completely cool.